There are currently 174 people online. 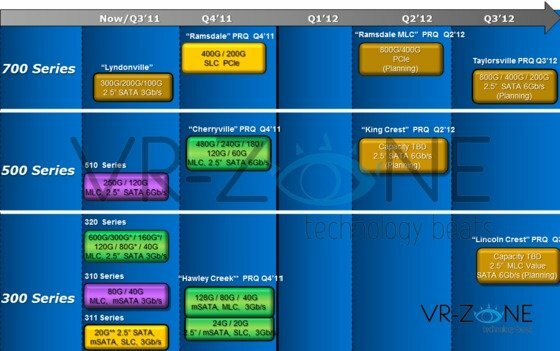 VR Zone received details about Intel's 2012 solid state disk plans, you can read it over here. Intel has plans for the solid state drive (SSD) market that look deep into 2012. It is becoming increasingly clear that the company wants to give its SSD portfolio the breakneck product cycle its processor lineup enjoys, that of generation leaps every year or so. Looking into 2012, we see new models targeting pretty much every major market segment.